One of my favorite breakfasts is making French toast. The soft & fluffy bread, golden edges, hint of cinnamon, and maple syrup are perfection. And since my recipe for The Best French Toast is one of the most popular on Just So Tasty – it looks like everyone loves this easy, no-fuss breakfast as much as I do. 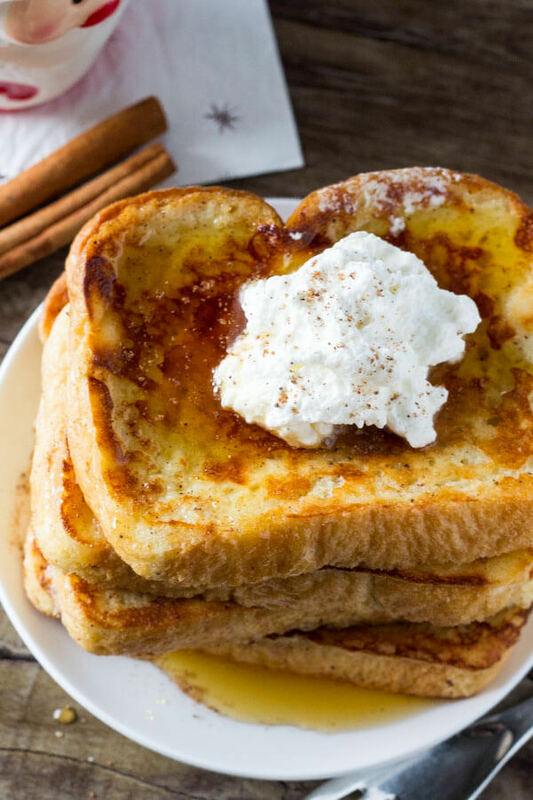 So, today we’re combining the deliciousness of French toast with one of the best holiday treats. 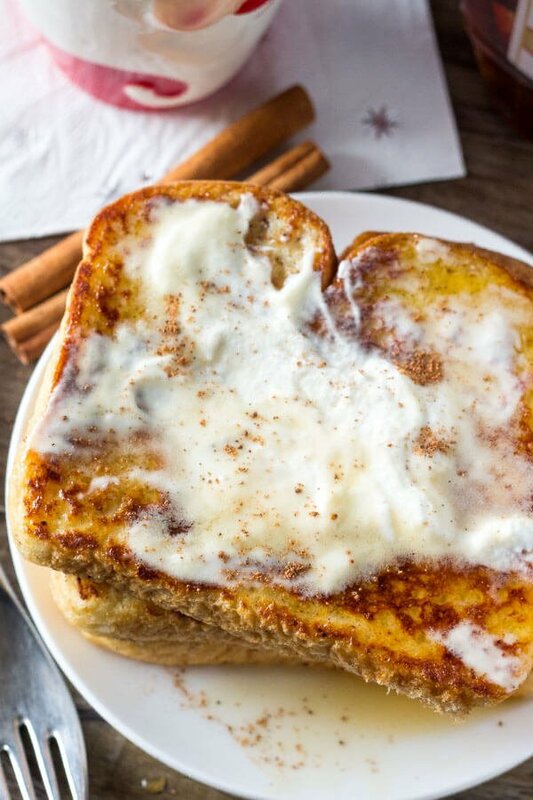 Enter, Eggnog French Toast. It’s fluffy, buttery, Christmas-y and and has the perfect yuletide flavor. I recommend this recipe for a leisurely morning at home over the holidays… or if you need energy for Christmas shopping on a Saturday in December. 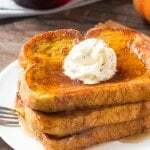 Our eggnog French toast recipe is adapted from a basic French toast recipe with a few key substitutions and alterations. First the milk is replaced with eggnog. 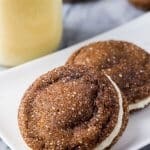 We add nutmeg in addition to cinnamon. We skip adding sugar to the batter since eggnog is already sweetened. And there’s rum extract for a little extra holiday goodness. I also like to add a little melted butter to my French toast batter because it creates more golden edges and adds flavor. Seriously, it’s totally worth the extra calories. (Although I’m definitely not counting over the holiday season). 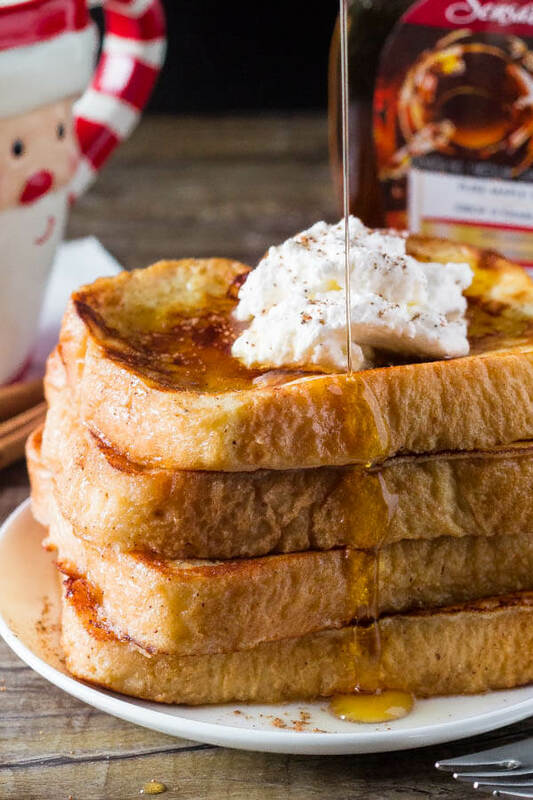 We absolutely loved the flavor of this Eggnog French Toast – and if you’re looking for an easy Christmas breakfast recipe, it’s the perfect thing! Eggnog French toast is fluffy and soft with golden edges, a hint of nutmeg and delicious eggnog flavor. 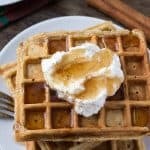 This easy breakfast is perfect for Christmas! In a large shallow-bottom bowl, whisk together the eggs. Then add in the eggnog, melted butter, vanilla extract, rum extract, ground nutmeg and ground cinnamon and continue whisking until combined. 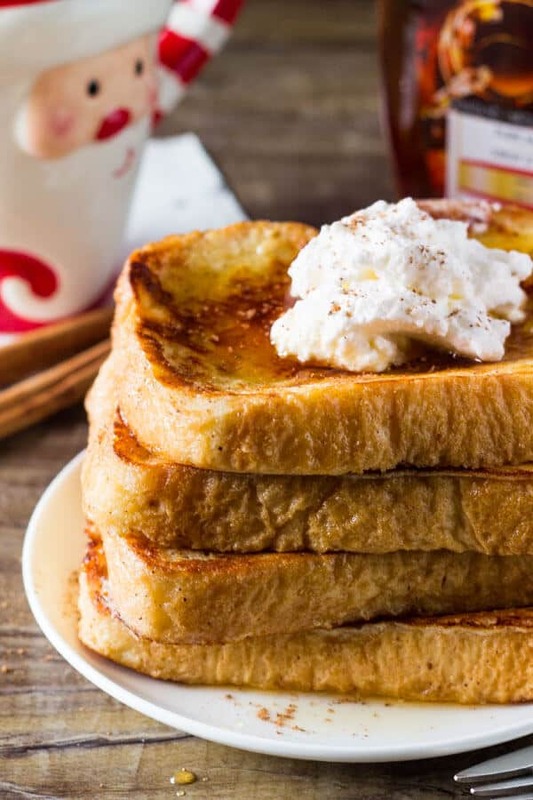 If your butter forms clumps, it's ok - it'll melt when you fry the French toast. Eat an electric griddle to 350F degrees, or heat a large frying pan to medium heat. Drizzle with oil or spray with non-stick cooking spray. Submerge a piece of bread in the batter, then flip and submerge the other side. Shake off any extra batter and place on the heated griddle or frying pan. Fry on one side until golden (about 2-3 minutes), then flip to the other side and continue frying until golden. Repeat with the process with all of the bread. 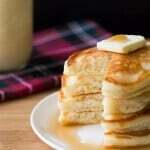 Serve warm with maple syrup, whipped cream and a sprinkle of nutmeg. **To quickly warm up the eggs, place them in a bowl with lukewarm water for 5-10 minutes. A great success at the holidays! A new family favourite.